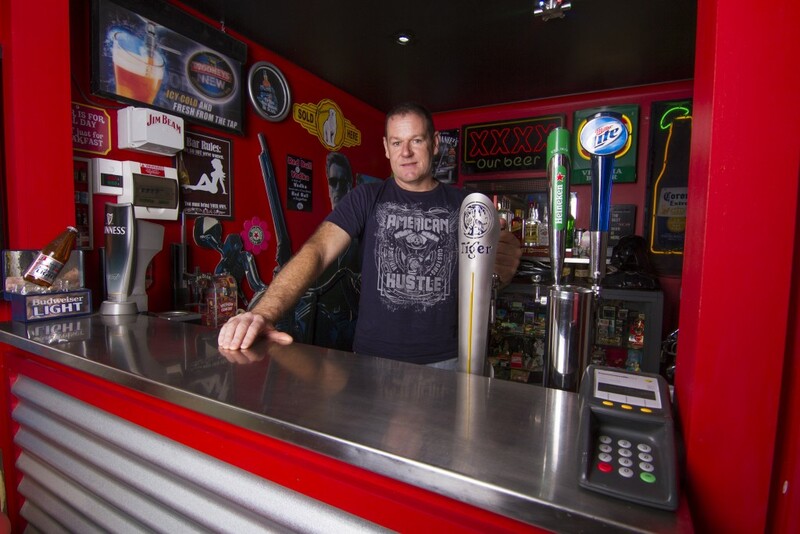 Russell Lilley has a passion for all things coin operated – pinball machines, arcade games, jukeboxes…you name it, he’s got it. But when his obsession got out of hand, he had to gut his entire shed to house everything, writes Callum Fitzpatrick. Many of the spectacular caverns in ManSpace Magazine have been born out of a collection that has outgrown its habitat. It could be an assortment of classic cars that can no longer fit in the garage, or an anthology of model trains that struggle to fit under the bed and are just yearning to be put on display. There have been countless scenarios like this that have formed the catalyst for blokes to set out to build a space around their passion. 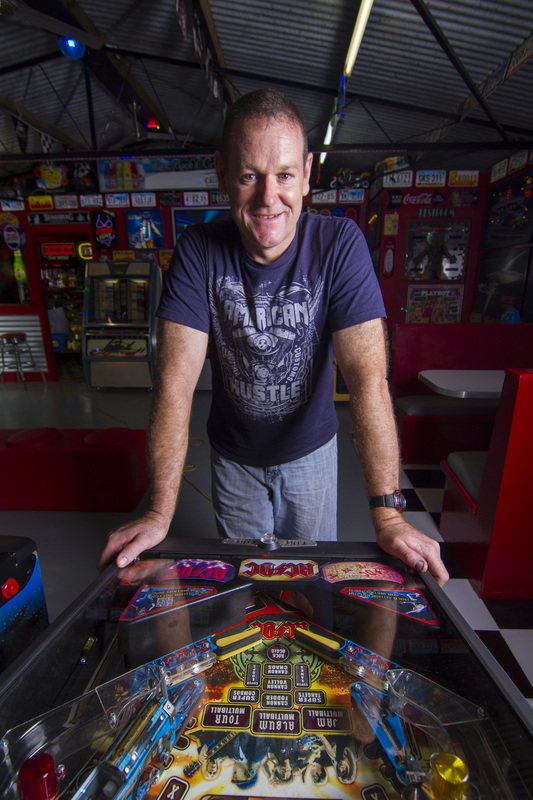 The same can be said for Russell Lilley, a 45 year old electrician, whose American diner-themed manspace was initially built around his love of pinball. However, instead of it being an area for his collection to grow, it has become an ever-evolving space that has followed him each time he has relocated house. Further, it’s the love of pinball itself that he’s attached to – not necessarily the individual machines. So instead of holding on to his games, when he gets tired of one, or something new takes his fancy, he simply sells up and switches them around. This means that his shed remains a modest, controllable size and is always fresh with exciting games to play. Russell realised at an early age that he was not only awestruck by pinball machines, but he was completely fascinated with anything coin operated. 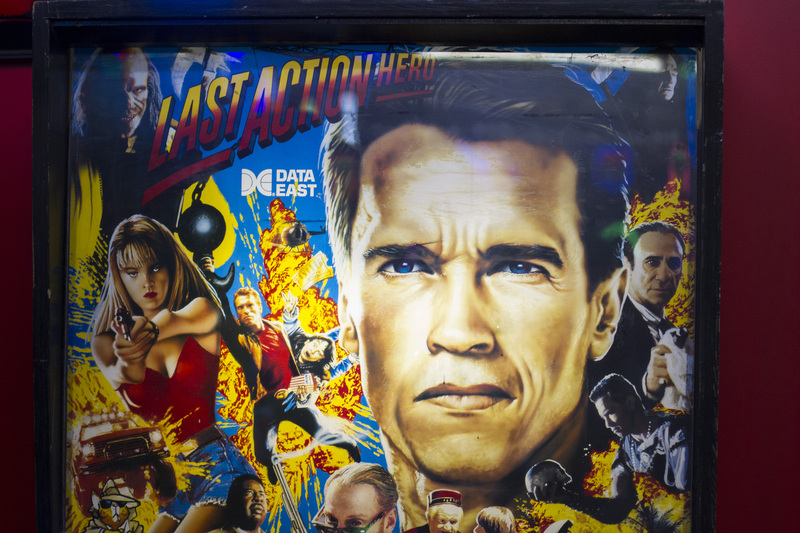 Whether it was an arcade machine or a jukebox – he didn’t care. If it needed a coin to rattle down its guts to get started, he had to have it. This becomes clear when you step into his neat little shack. What’s more, you’ll soon feel like you’ve teleported across to the US into some sort of American diner on steroids. Neon advertising signs, American licence plates and retro Coca Cola emblems are emblazoned across every inch of the wall, while a few diner-themed stools are propped up against the bar. It doesn’t look like much dining is done here though – the shed’s clear hero is the entertainment on offer. 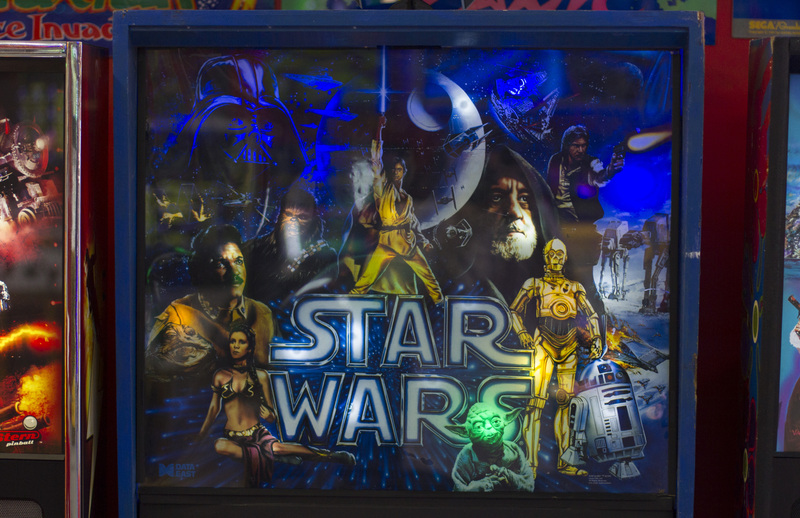 Visitors are treated to a choice of AC/DC, Star Wars, Star Trek or Austin Powers themed pinball. If that’s not your thing, you can challenge a mate on the Sega Rally twin driving game, or test your reflexes on the Big Buck Hunter. Also available are Point Plank and Police shooting games, as well as Silver Strike Bowling and Rolling Extreme: Street Luge games… among many others. A boys night in wouldn’t be complete without a decent soundtrack though, and Russell has that covered with a fine selection of CD jukeboxes. Considering the decor and entertainment on offer, you might be surprised to hear that Russell has never actually travelled to the US. 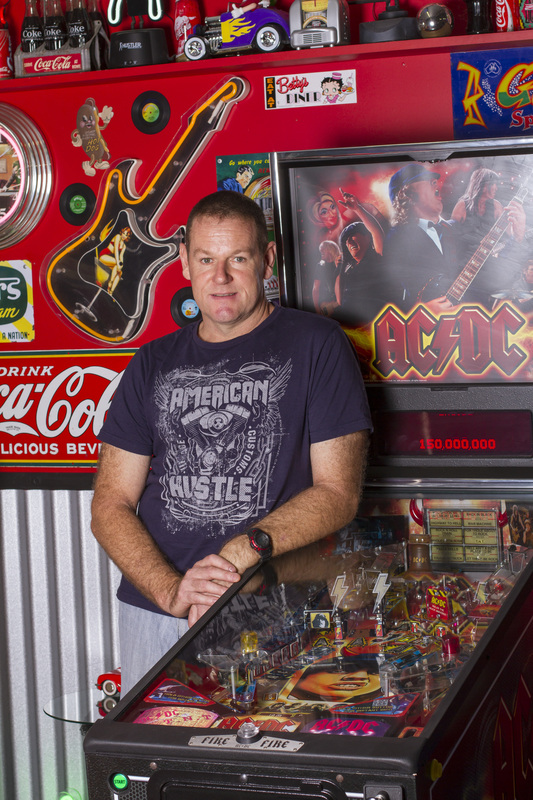 Russell explains that his pinball obsession first started when he was in primary school. Over the years Russell has owned over 60 different pinball machines and nearly as many arcade games. He even installed two pinball machines at a local college in Ballarat when he was younger, making him a tidy profit. Russell initially started out his personal collection in his mother’s home, where he had four pinball machines and two cocktail tables, but it wasn’t until he moved to a house in Ballarat that he decided it was time to allocate a separate room to his modest, but growing collection. 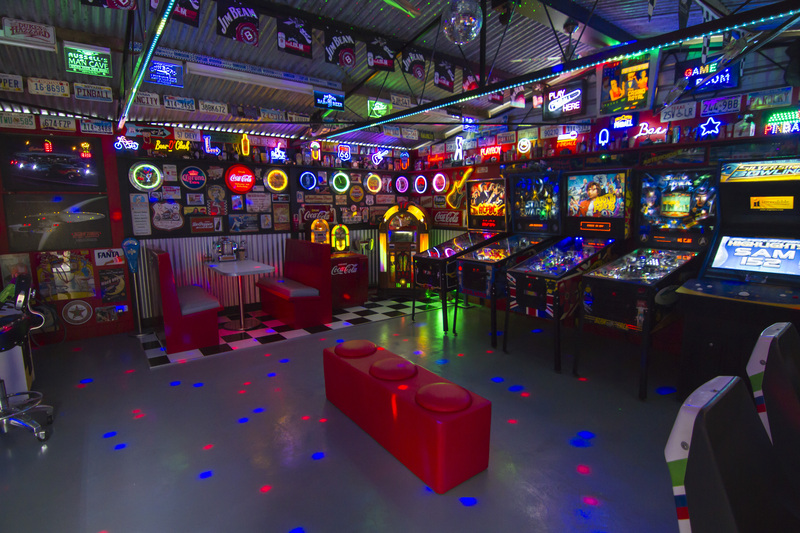 He took this a step further when he bought a house in Rockhampton in 1994, turning the entire lower floor into a games room. Unfortunately though, floods damaged much of Russell’s equipment and he had to rebuild some of his collection. So, when he relocated to the Gold Coast in 2012, he made sure that his new house had a shed that was ideal for his Yankee-attractions. Fitting it out was no easy task though. Because the shed is located up a flight of stairs, any new gear that he buys has to be disassembled and loaded onto a boat winch. “It’s a project that’s never finished and may never be fully complete – but that’s half the fun,” Russell says. 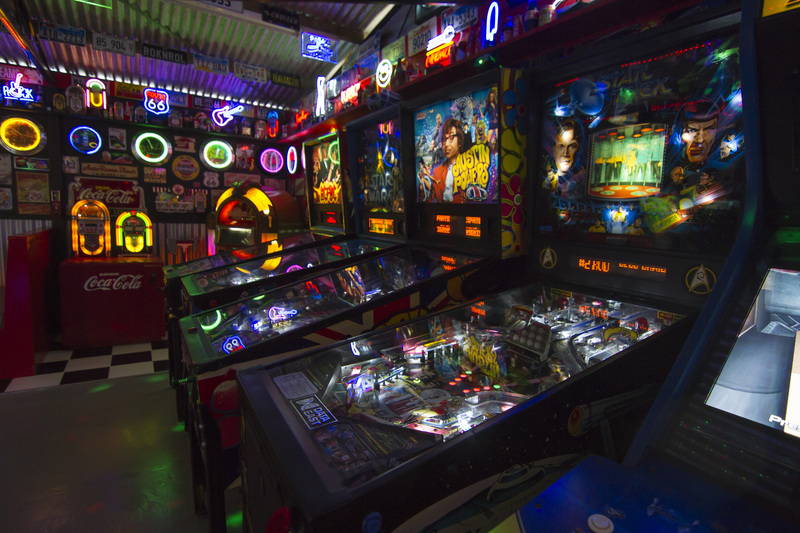 For many of us who have only played the occasional game of pinball down the pub, it’s easy to forget that it’s not just a case of hit and hope. For those in the know, it’s a very serious skill game. There are a number of little tricks the top players use to give them an edge in the game. Such as: The drop catch. Here, the player drops the flipper as the ball arrives, allowing them to trap the ball and increase the accuracy of their next shot. Live catch. An advanced move. This is a much more fluid motion, where the ball appears to stop magically on the flipper. In reality, it’s a very well-timed catch, which only the best players can carry out. Outlane shake. Players can nudge the machine, but if the act is too vigorous, it causes a ‘tilt’, which often sacrifices the current ball in play. If performed correctly, an outlane shake can nudge a ball from going out of play without causing a tilt. “I’m not a great player by any stretch, but because I have always owned a few machines, I usually beat my mates, Russell says. For Russell, it doesn’t matter whether he’s winning or losing, it’s all about the thrill of seeing that little silver ball dart across the box. “It’s always great fun, especially when you beat a high score that’s been on the board for a while, or you get a multi-ball – one of my machines can have 13 balls going at the same time. Even if they drain away pretty quickly, it always gets my heart racing. It’s such a buzz. Luckily for Russell, if he ever gets too frustrated when he’s trying to beat a high score, he can always swing on down to the diner and slot a nickel in the ol’ jukebox. “My Harley Davidson jukebox is probably my favourite item in the whole shed. It’s like a work of art,” Russell says. 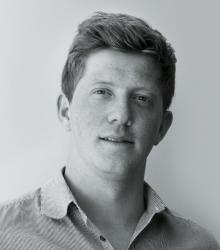 Callum relocated to Australia from the UK. We're pretty sure ManSpace was the main reason he came.